MVVS Murthy and three others were killed in a car-truck collision on the highway near Alaska in the US, where he had gone to take part in the GITAM Alumni meet on October 6. 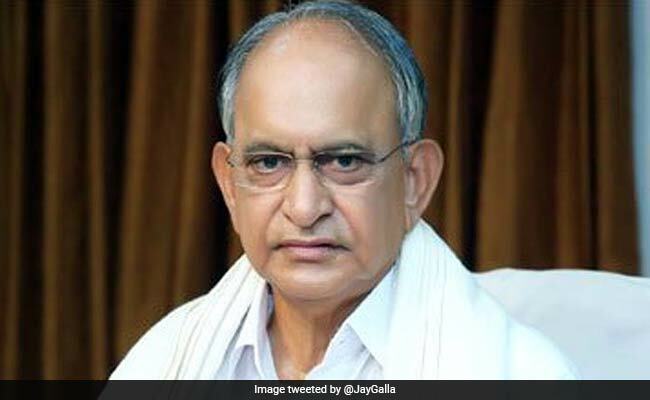 Veteran Telugu Desam Party leader, educationist and member of Andhra Pradesh Legislative Council MVVS Murthy died in a road accident in the USA, the party announced at Amaravati on Wednesday. He was 76. He also served as a member of Lok Sabha from Visakhapatnam for two terms from 1991 to 1996 and 1999 to 2004. The lawmaker was on his way to a wildlife sanctuary when the accident occurred on Monday afternoon (US time). Telugu Association of North America members are coordinating with the US authorities to bring the TDP leader's body back to the state. MVVS Murthy had been an active leader of the TDP since 1983 and had a close association with the party's founder-president NT Rama Rao. He founded the Gandhi Institute of Technology and Management (GITAM) at Rushikonda near Visakhapatnam, which has now been granted a "deemed to-be university" status with campuses in Hyderabad and Bengaluru. A doctorate in economics from Andhra University, MVVS Murthy established many colleges in his native East Godavari and other districts. He also owned a soft drinks bottling plant in Visakhapatnam and became popular as 'Goldspot' Murthy. Chief Minister N Chandrababu Naidu, his deputies KE Krishna Murthy, N China Rajappa, Council Chairman N Md Farook, Assembly Speaker Kodela Sivaprasada Rao, ministers and lawmakers condoled MVVS Murthy's death. "I was shocked to learn about the death of Murthy. His services as an MP and an MLC are memorable. His death is a deep loss to the field of education and also politics. It is a personal loss to me," Mr Naidu said in a message. Deputy Chief Minister Krishna Murthy recalled that he and MVVS Murthy were elected to the Lok Sabha for the first time in 1991. "I lost a good friend," he said. Ministers Yanamala Ramakrishnudu, KK Venkata Rao, Kalava Srinivasulu, Sidda Raghava Rao, N Lokesh, lawmakers Kesineni Srinivas, Kanakamedala Ravindra Kumar, Nandamuri Balakrishna, C Ramachandraiah and several others mourned his death.